The ZF Distance Golf Ball continues Excel Golf’s trend of producing quality products that serve the golfer and the environment well. From cover to core, the Zero Friction Distance 312 Golf Ball is made from 100% renewable resources with no toxic synthetic materials used in the process. Featuring an 80 compression, 2-piece construction and a 312 dimple pattern, the ZF Distance 312 allows for maximum distance, roll and soft feel. Each sleeve includes a bonus ZF Tee System 2¾” tee. 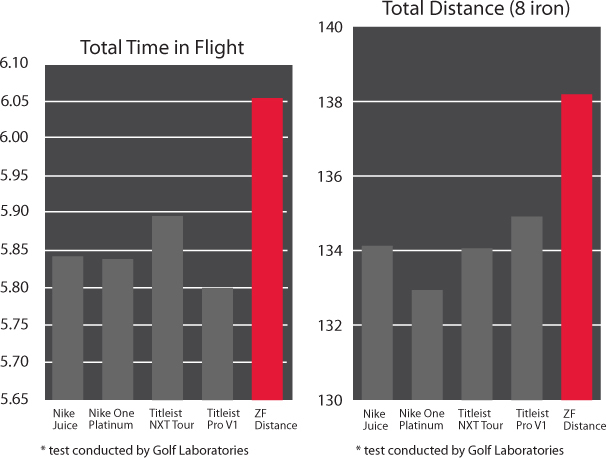 Test results show the ZF Distance 312 travels up to 5 yards longer than the competition.